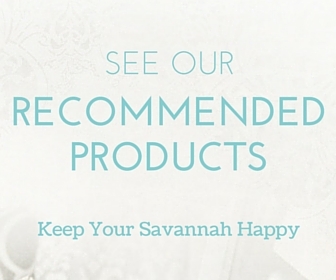 Choosing to make a Savannah a part of your family is a big decision, as is choosing a breeder that is the right fit. 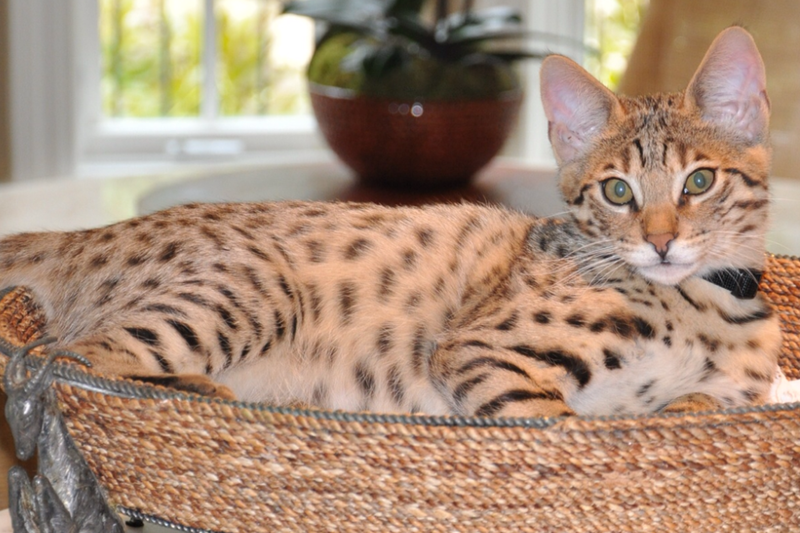 As prospective Savannah owners scour the internet in search of their ideal kitten they will likely encounter a plethora of available kittens and Savannah breeders. As the longest standing breeder of the Savannah, Select Exotics has seen the number of breeders skyrocket, as well as many breeders come and go over the years. The initial impression with which a breeder’s website makes upon its viewers is a key factor in those viewers spending the time to familiarize themselves with the site and furthermore the available kittens. Unfortunately, it seems that many breeders do not take the time to keep their site current. Equally important is the quality of the kittens being offered. Consumers are willing to spend what is necessary to make their dream of sharing their home with a piece of the wild a reality, but they want that individual to as closely resemble their wild ancestor as possible. Breeder knowledge should play an important role when making your decision. Take the time to visit with the breeder, whether it is via phone, email, or in person. Ask questions about the breed, their history as a breeder and their qualifications. Do you feel comfortable with the breeder after such a conversation? Do you feel that after receiving your kitten the breeder will be willing and able to provide continued support as your kitten matures and later in its life? Cost will play a role in many people’s decision. We all work hard for our money and want to ensure we spend wisely. Some people are from the school of thought that if something is the most expensive, it must be the best. Others are searching for a ‘deal.’ There seems to be quite a discrepancy in prices from one breeder to the next, considering similar kittens. Some things that will affect this include quality, age of the kitten and reputation of the breeder (or lack there-of). Even within a generation a vast difference can be found in terms of quality. The goal of breeders should be to produce the most vividly colored, extreme typed, socially adaptable kittens with as much size potential as possible. The more established breeders are generally going to understand their genetic lines better and will be able to produce the desired traits more consistently than breeders with limited available genetics or those that lack the knowledge of the genetic line(s) they are working with. As kittens get older their prices may change. Kittens will settle in and bond easier younger, versus older so breeders may lower the price of an individual to ensure getting it into a home at an age that it can still easily transition. Then there is reputation. Established breeders will have a solid client base out there that may be promoting them on social media outlets, inadvertently swaying the opinion of perspective buyers. Newer breeders may not have this advantage. Prospective buyers also have to consider how comfortable they are with a newer breeder being able to uphold their contract. If a contract promises a refund or replacement kitten, will that be feasible? A newer breeder with just a few breeding cats could take 6-12 months to be able to provide a replacement kitten. Likewise, the availability of funds to provide a refund could be limited. Of course both breeders and buyers hope that this will not ever be an issue, but when dealing with living creatures it should be considered. Location may also play a role in a buyer’s choice of breeders. Some people are adamant that they want to be able to see and interact with a kitten, as well as see the facility in which they are raised. This is a valid point. On the flip side, because the breed is still relatively new and there are not many ‘local’ breeders many forego this option in search of the quality they desire. Some people are concerned with kittens having to be flown, as opposed to a long car ride to get to their new home. It has been our experience that kittens do not stress any more from a plane trip than they do a car ride. The stress involved comes from leaving their siblings and familiar environment at the breeder’s. Our advice – Do your research, ask questions and make sure you are comfortable with and confident in your breeder and his/her abilities. The Savannah you are contemplating adding to your family will be with you for the next 15 or so years and you will likely need to call on your breeder from time to time. Best of luck with your quest for a Savannah kitten and it’s breeder. The adventures your new kitten will bring are limitless! Purchased a savannah from select exotics 3 years ago. Holly was great on keeping me updated on my kittens progress while I was waiting for him to arrive. Our daughter was upset that we were purchasing a savannah as she was just to embark on starting a family. She was nervous about a hybrid cat interacting with her children. Bentley absolutely LOVES my grand kids. He is so tolerant of them & loves to play with them. I recently told my daughter I was thinking of getting another cat. She said mom you should really get another savannah from the same breeder because he’s such a good cat. I have never met anybody that doesn’t like Bentley. We had renovations done recently & I would catch the contractors playing with Bentley. I must admit though, Bentley is a bit of a pick pocket. We did not teach him to do this, but we have to put all our guests coats & purses in a room where Bentley can’t get at them, because he goes into pockets & purses & steals things & hides them. He gets along great with my mini daschunds & thinks he is a daschund too. When he was younger he would turn on & off the lights & he would actually take some of the artwork off of the walls. When I would open up the fridge he would jump from behind me over my shoulder into the fridge. One thing is definitely for sure. Life with Bentley is never boring. You never know what he will think of next. He is so intelligent. My daschunds think he’s super man without the cape! Thank you for the update Janet! I am so glad to hear that you are happy with your boy and that he is so well adapted. Thank you for your feedback. I will look forward to helping you find the perfect playmate for him when you are ready!